Manganese oxidation states. Compounds that contain manganese in different oxidation states. 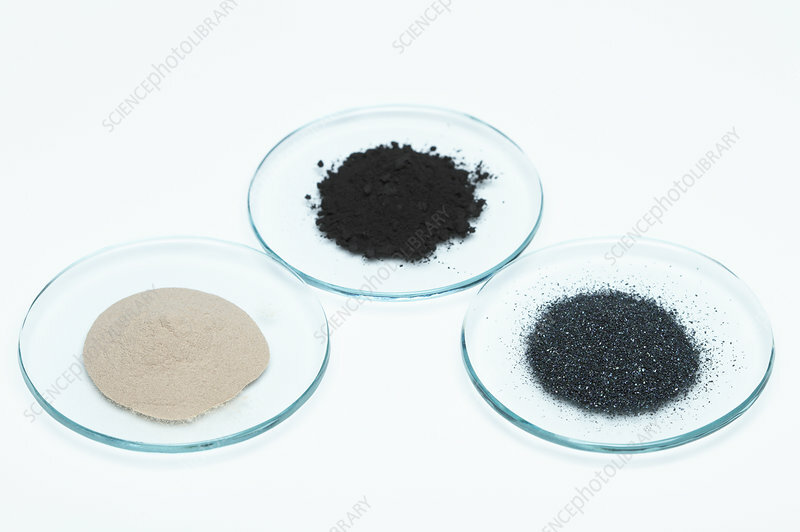 Left to right: manganese (II) carbonate (MnCO3), manganese (IV) oxide (MnO2), and potassium manganate (VII) (KMnO4). Different oxidation states of manganese produce compounds of different colour.